Q. Wang developed his painting style -- freeism by using free colors, free shapes, and free strokes to do his art works. The result is a free atmosphere, and a space of imagination. Technically, Q. Wang broken the space. Generally speaking, before Manet, peoples all try to paint alike, after Manet, peoples try to paint dislike. It's a broken process. Monet broken the brush, Van Gogh broken the plane, Matisse broken the colors, Miro broken Shapes, Picasso broken the construction, Abstraction broken the object. Now,Q. Wang broken the space. He broken the space in many different ways. For example, Multi-layer Space, Discontinued Space, Complex Space..... And Q. Wang also broken the bars between objective and non-objective paintings. 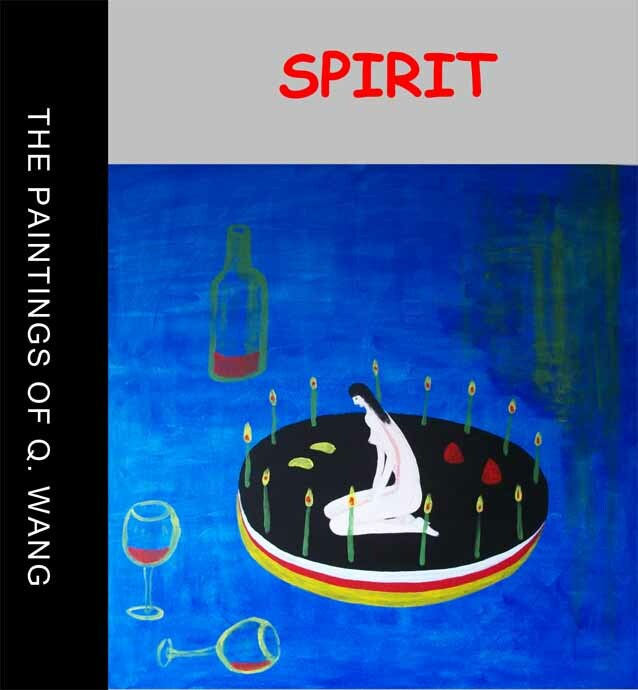 Q. Wang paints the spirits by heart. Before Van Gogh, peoples all paint what they saw, and let the viewers to see what they painted. Since Van Gogh, peoples began to paint what they thought, and let the viewers to think what they painted. But Q. Wang paints the spirits, something you can not see and you can not think, you can only feel it by heart. His paintings have no details, but have characters. Each of his painting is different with others. Q. Wang's painting is a combination of contemporary art with Chinese culture. It is revolutionary. Most people don't understand it. Just like peoples don't understand Monet and Van Gogh at the time.